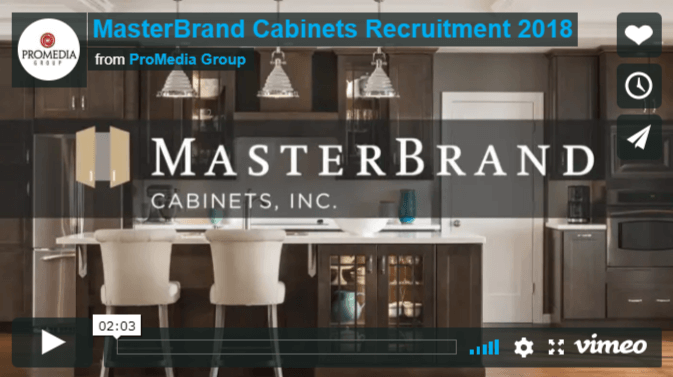 As the #1 kitchen and bath manufacturer in North America, MasterBrand Cabinets Inc. is a large company that continues to grow at a rapid pace. So much so, that when we first partnered with MasterBrand, they had hundreds of job openings that needed to be filled. From the plant floor, to the front office, MasterBrand had a variety of positions that needed quality candidates to fill them. Working with the Marketing and Human Resource Departments at MasterBrand, we identified the various experience levels required to fill their open positions, and began formulating a plan of how to best reach the people that would fit that criteria. We then launched an aggressive, wide-ranging recruitment campaign that stretched across television, radio, billboards, social media and more. Our video production crew was dispatched to the MasterBrand manufacturing floor to acquire interviews and compelling b-roll that would be utilized in several videos. Nearly a dozen videos were made, each tailored to a specific audience, and were launched across several mediums, strategically placed to be seen and heard by the demographic for which we tailored the ads. MasterBrand continued to grow as a company, and our campaign was such a success, that they brought us back a year later for additional recruitment assistance. Year two has seen an expanded reach of media buying, including Hispanic radio stations, which required some radio spots to be written in Spanish. 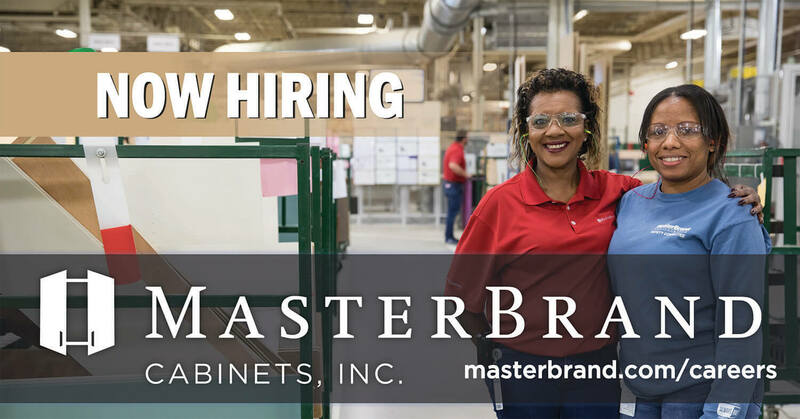 As MasterBrand continues to grow as the most successful Kitchen and Bath manufacturer in North America, they will require more and more qualified and hard-working candidates to contribute to their accomplishments. We are proud to have steered people to the employ of such a wonderful company.